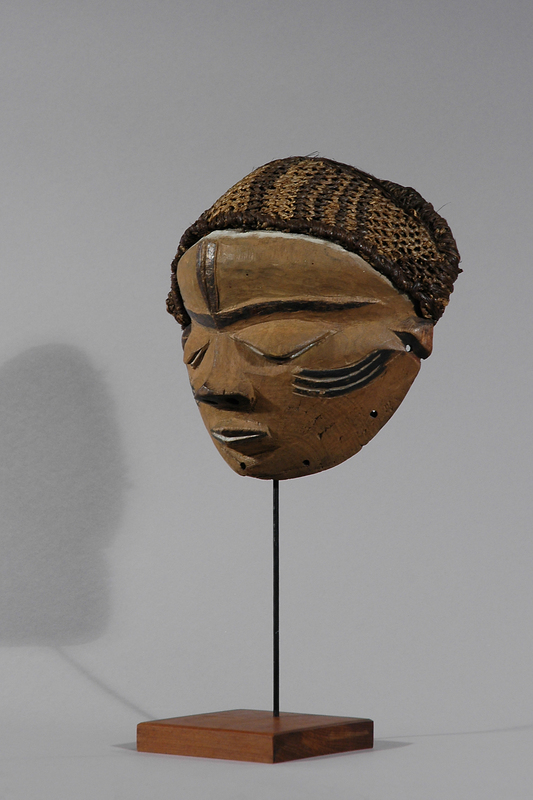 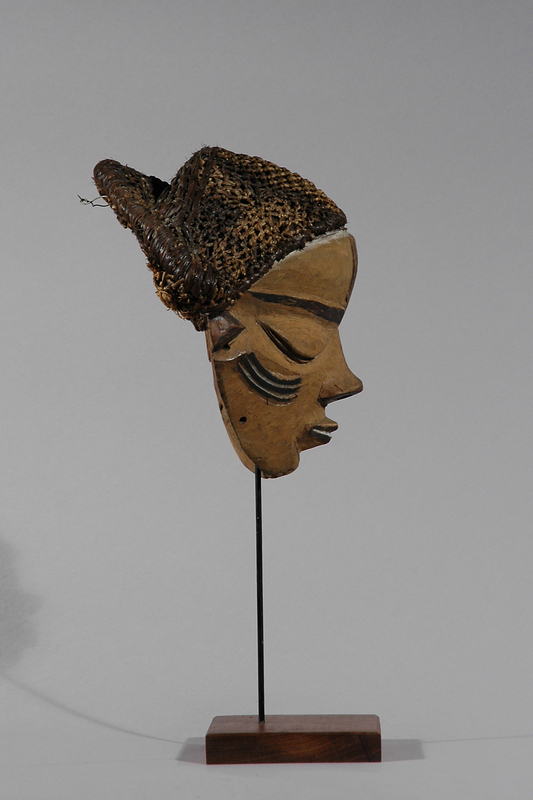 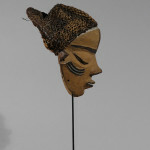 Pende masks are among the most dramatic works of all African art. 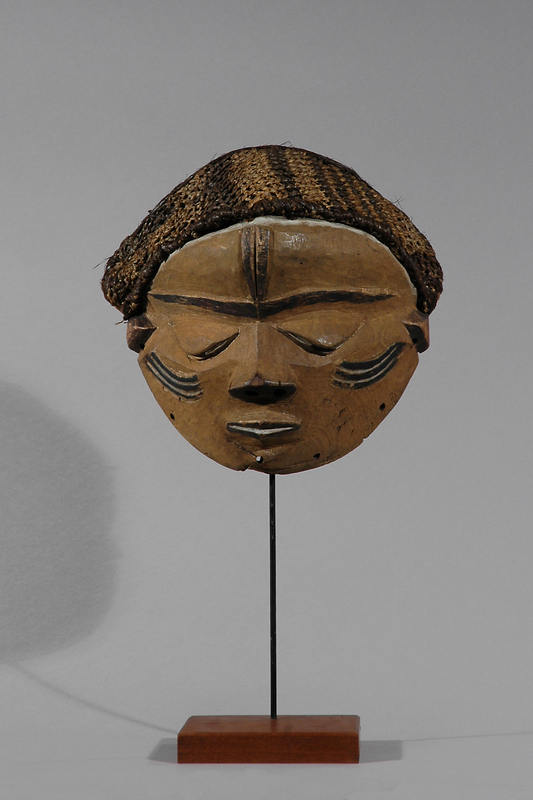 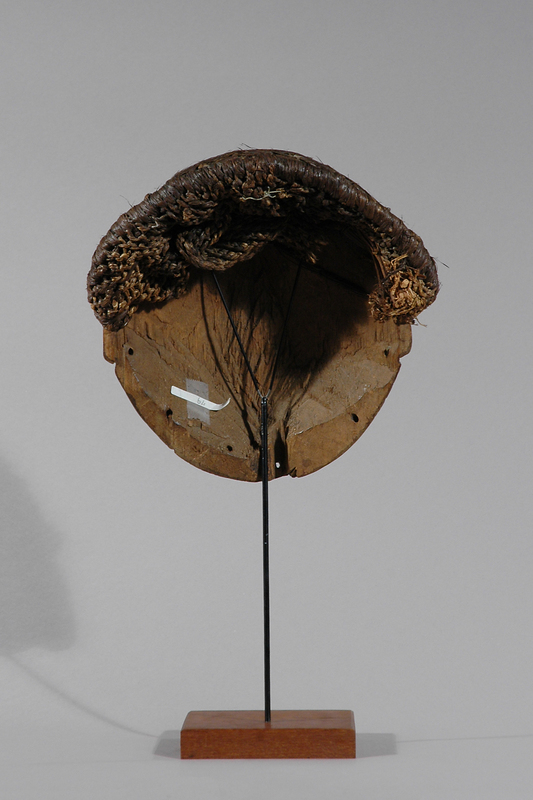 The Pende are especially well known for their masks that were originally used for circumcision ceremonies but later became accessories for a type of popular theater. 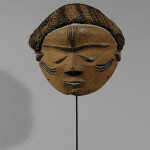 While most African masks represent idealized types, revered animals or spirits, or emphasize grossly exaggerated features to frighten away mischievous spirits, the Pende are unique among African tribes in their willingness to address human sickness in art. 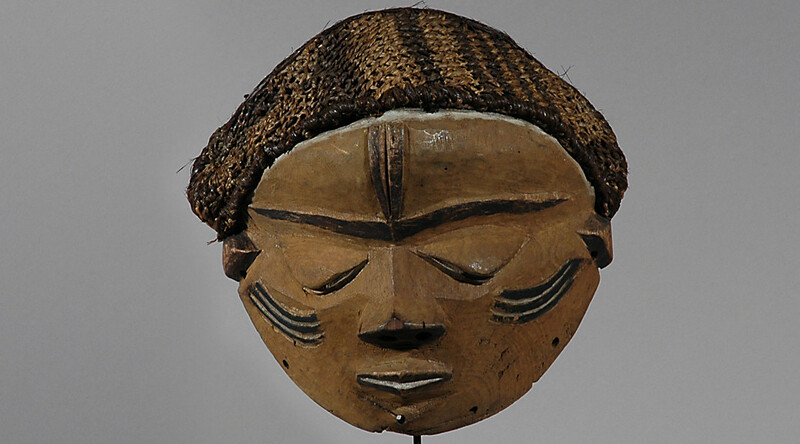 Their eyes usually seem closed, or downward-looking, and the colours favoured are black, white, red or ochre. 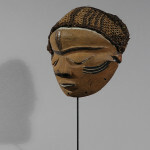 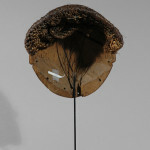 The female mask dances to the rhythms of comtemporary popular dances and performs little comedies with a mirror and comb to suggest her vanity and preoccupation with appearance.